There are some Italian regions that I tend to favor when I have to go through a wine list. I have this usual tendency to go far away from my home region. I live at the outskirt of Rome which is inside the region of Lazio. What I am saying is that I look everywhere but Lazio. It has 30 controlled designation labels, 3 of which are DOCG (Denominazione Origine Controllata e Garantita) and 27 are DOC (Denominazione Origine Controllata). With these much quality-controlled labels that wineries have to abide rigorously, a terrain that's rich with minerals, Mediterranean climate, sea and hills and producers who are keen in their focus on the production of quality wines, well then, I don't have to look farther. 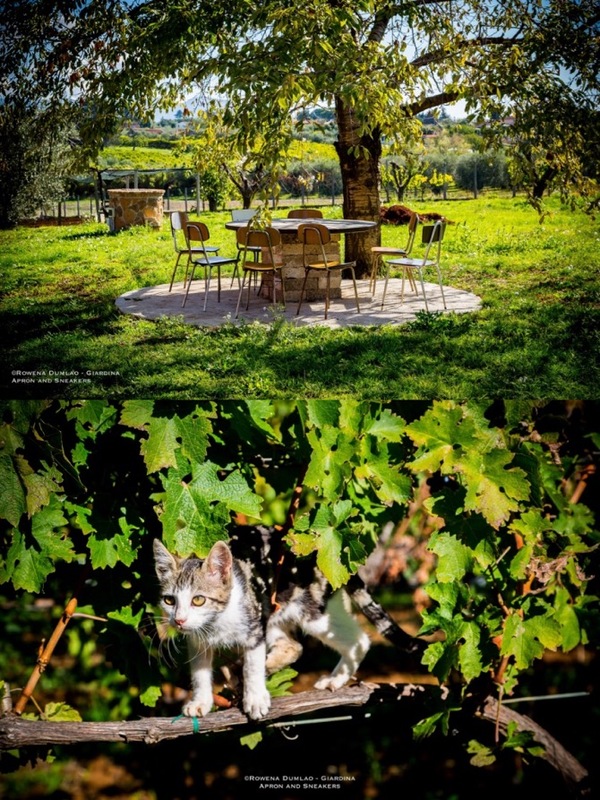 Cantina Del Tufaio is located in the town of Zagarolo, about 40 kilometers from Rome on the eastern side. 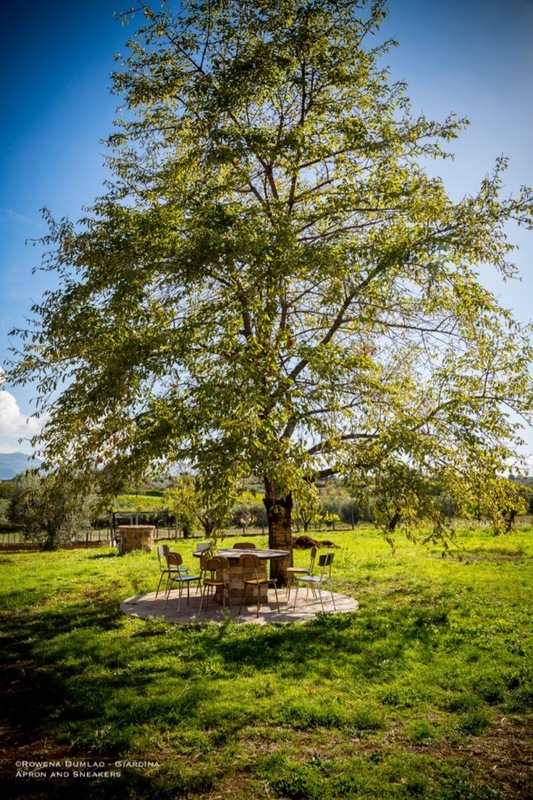 It's a winery that was created in 1994 by the heirs of Antica Casata Loreti to continue a family tradition that goes way back in the late 19th century. 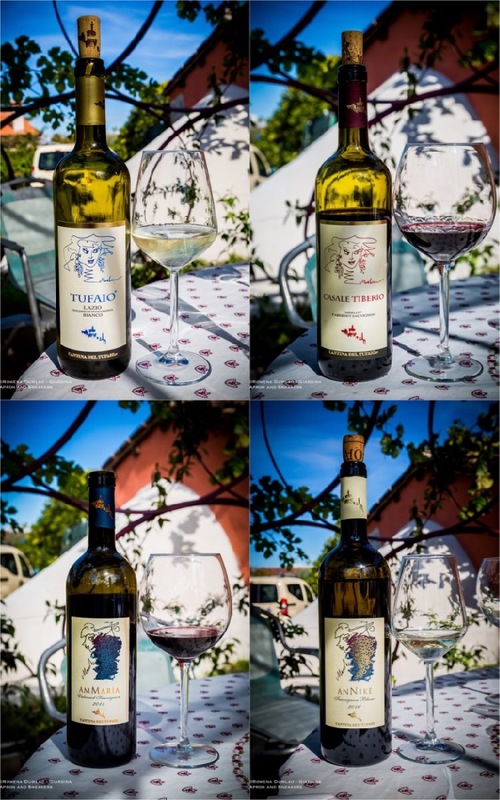 Behind the production of Cantina Del Tufaio is Claudio Loreti, his wife Maria and daughter Nicoletta. Reception at Cantina Del Tufaio exudes with warmth. 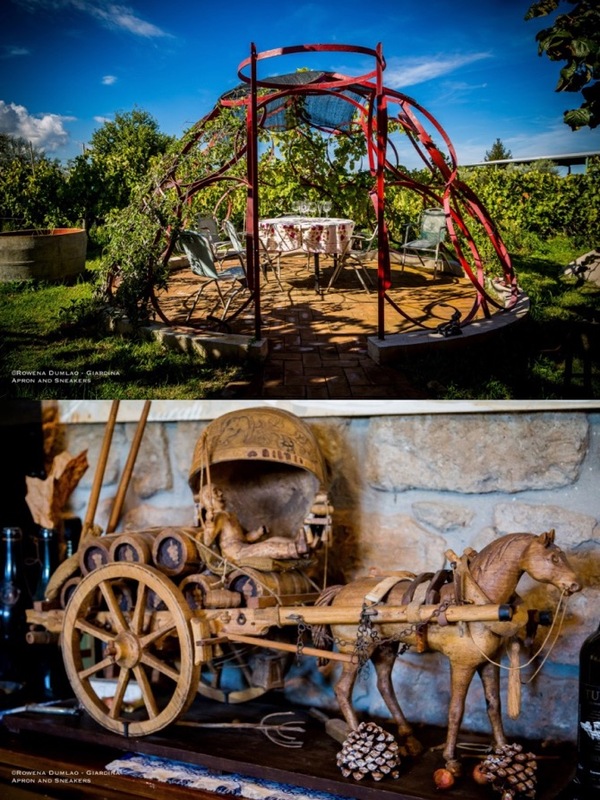 You walk into the winery that the Loreti family keeps as an extension from their house. If you are lucky, you can get to meet the whole family which I did on the morning of my visit. 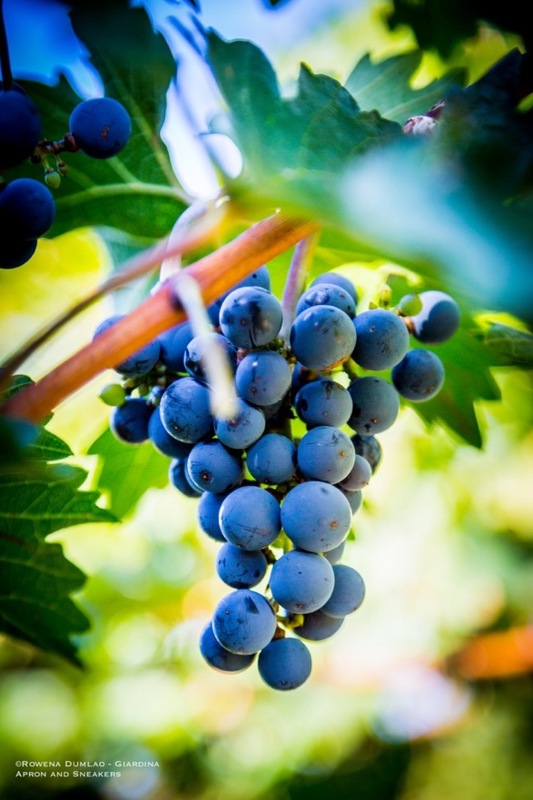 Tasting the wines is one thing and speaking with the people behind the production is another thing because it makes the wines more noteworthy. 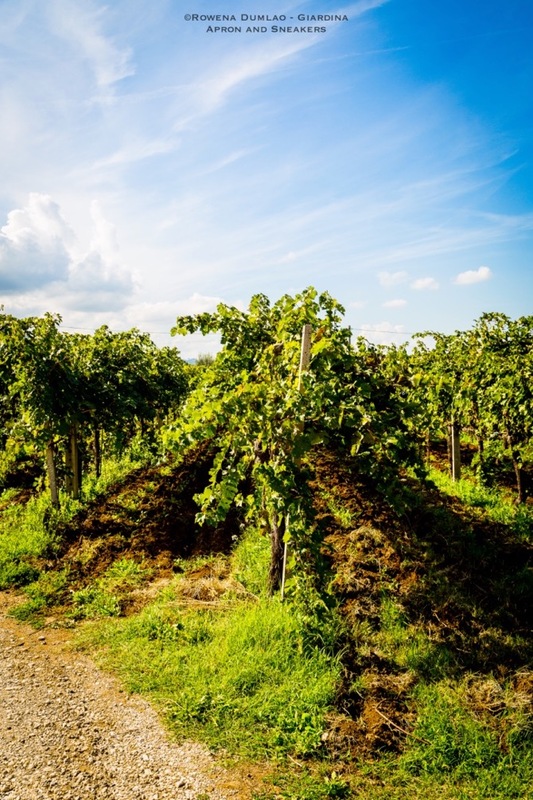 The winery is surrounded by 3.5 hectares of vineyards with vines of Malvasia, Sauvignon Blanc, Pinot Bianco, Chardonnay, Merlot and Cabernet Sauvignon, gardens and a cave cellar that was manually dug in the tuff. And this cave cellar is a very interesting part of Cantina Del Tufaio. Located just across the winery, there's an unassuming door that leads down to the 20-meter deep cave dug in the natural tuff of the Zagarolo. Also carved from tuff, the steps were endless in the semi-dark tunnel. 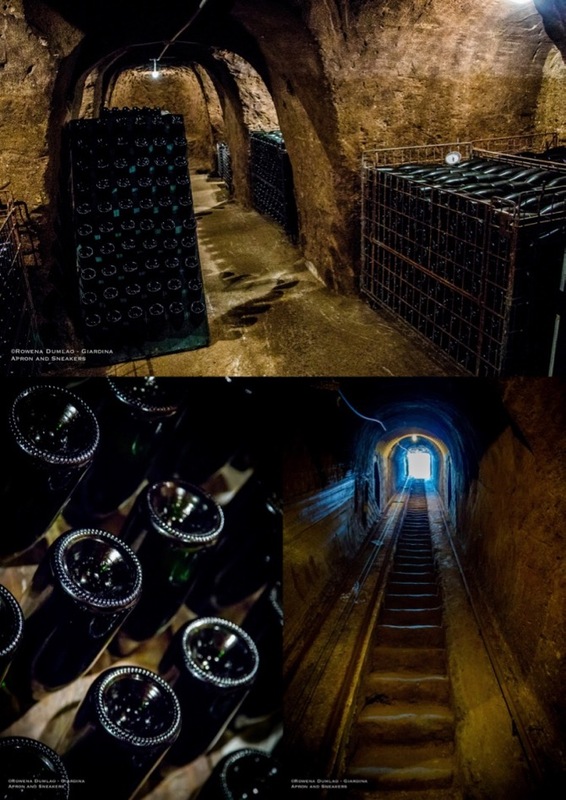 In the cave itself, there are divisions and big metal crates filled with bottles of their spumante, where you can see different phases of the production. Some bottles are resting horizontally and the rest, diagonally in the wooden riddling racks. The temperature in the cave remains stable at 15 degrees Celcius all-year-round. 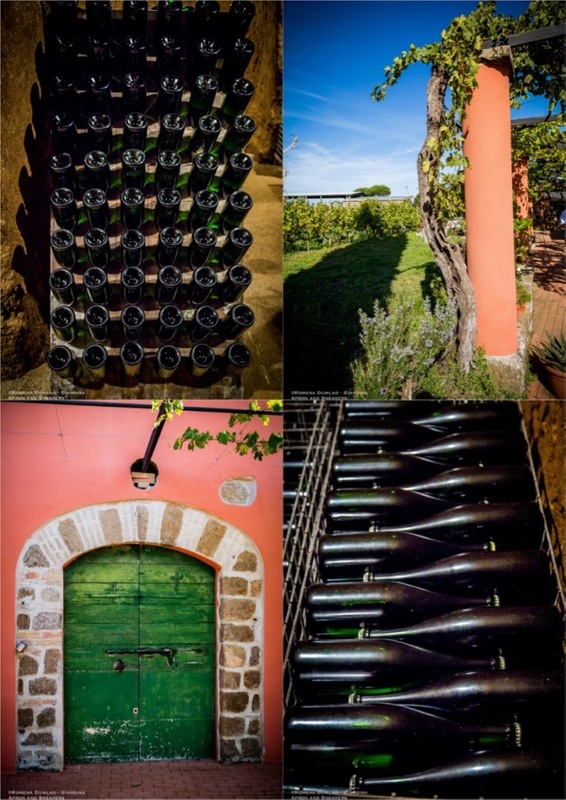 Cantina Del Tufaio has an annual production of 15,000 bottles, 5,000 of which are spumante. They retain a low production number with the quality as their foremost aim. 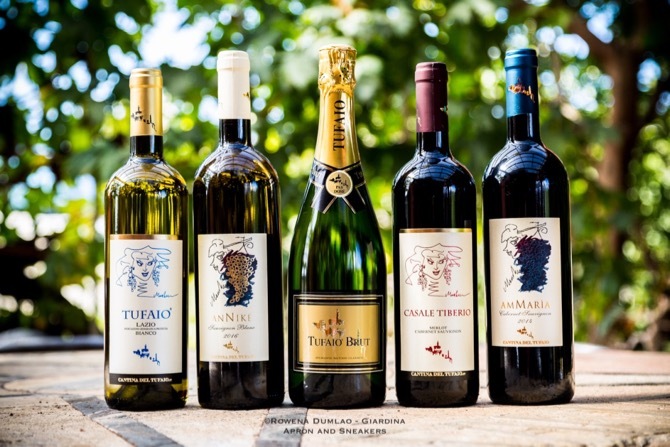 Their wines are hard to find as they don't export their wines abroad and most of the bottles are distributed in Lazio and just a small fraction in the other regions of Italy. The morning of my visit, Nicoletta guided the tasting of the wines while her father, Claudio, harvested the olives in their orchard. 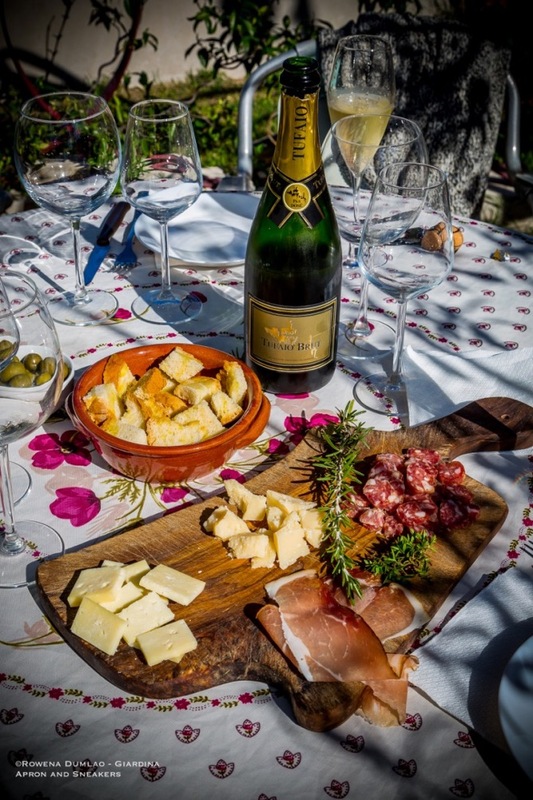 A spread of locally-produced bread, salumi, cheese and their home-grown olives were on the table to accompany the trip through their spumante to their red wines. 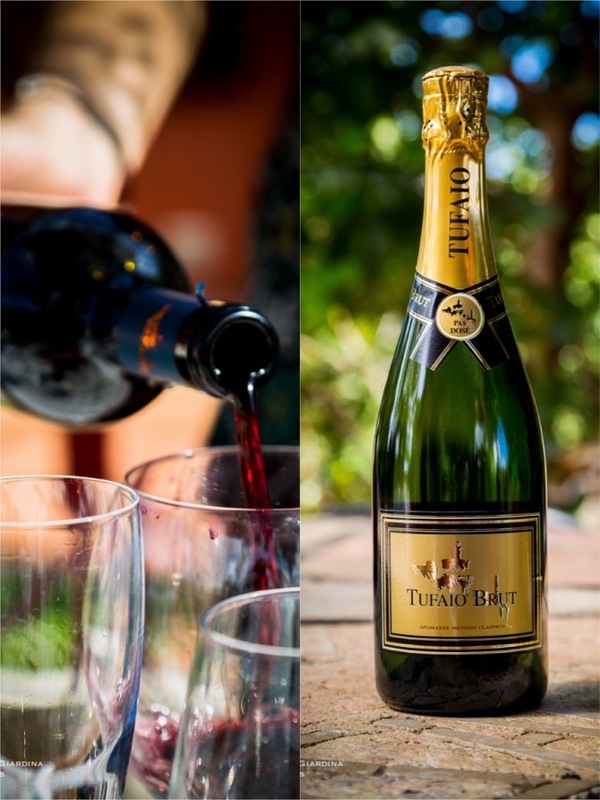 Tufaio Brut Pas Dosè Metodo Classico , Pinot Bianco, Malvasia and Chardonnay with a fine and persistent perlage. It's brilliant with a beautiful straw yellow color and gives aromas of exotic and citrus fruits, flowers, a bit of herbs and freshly-baked bread. In the palate, it gives a wonderful freshness and sapidity. This spumante is actually the one that led me to visit the winery. Tufaio IGT Bianco 2016, Malvasia, Trebbiano Giallo, Grechetto and Sauvignon Blanc with a crystal-clear straw yellow color. The nose is reminiscent of Sauvignon with its herbaceous aromas, white peach, citrus fruits and white flowers. On the palate it has a good balance and determined freshness and sapidity. AnNike 2016, 100% Sauvignon Blanc with a greenish yellow color and crystal-clear limpidity. Eight months in stainless steel tanks, the wine has a very pleasant aspect with distinguished freshness, sapidity, delicate pears and green apples, white flowers and herbaceous aromas. Casale Tiberio IGT Rosso Lazio 2016, 60% Merlot and 40% Cabernet Sauvignon, aged in used French barrique (second passage). The first released vintage, 2003, immediately won the Calix Aureus award, a very important recognition given by the Associazione Enologi Enotecnici Italiani and Consorzi di Tutela dei Vini del Lazio. Ruby red in color with a good consistency and persistence. Complex with medium tannins, smooth and fresh. AmMaria IGT Lazio Rosso 2014, Cabernet Sauvignon and Merlot. 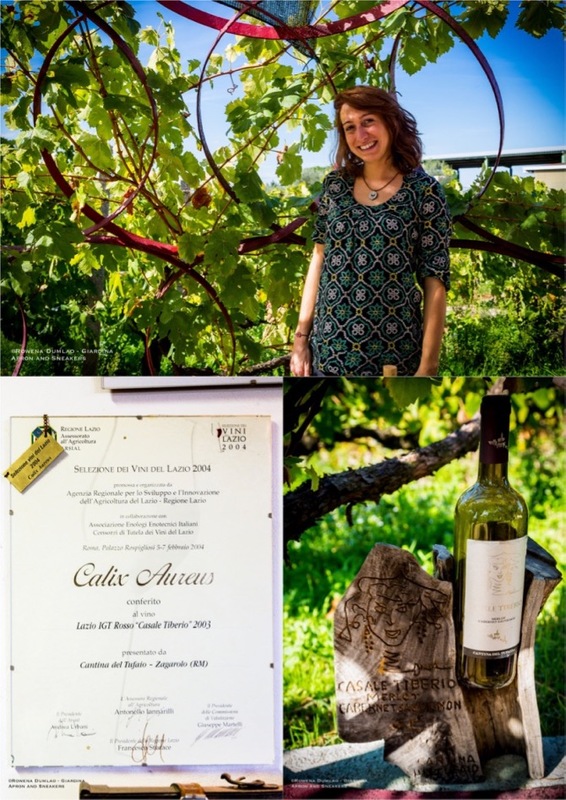 The 2010 vintage is another winner of the Calix Aureus award. Intense ruby red color and complexities in the nose with aromas of amarena, mature red fruits, flowers, spices and minerals. Smooth with round tannins, good sapidity and structure. A great wine to have. 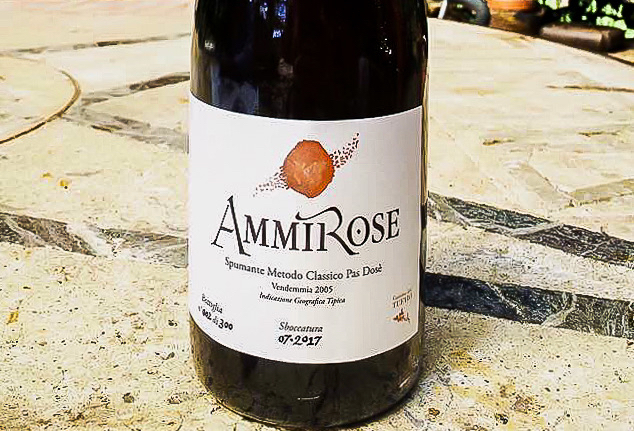 AmmiRose Pas Dosè Metodo Classico 2005, 100% Merlot. Intense cherry color with fine numerous and persistent perlage. Aromas of strawberry, raspberries and white flowers. I didn't get to try this but based on the public's reception of this rosè when it was presented in a wine tasting event in Rome, it's quite an excellent rosè. Priced at €45 with a production of only 350 bottles.